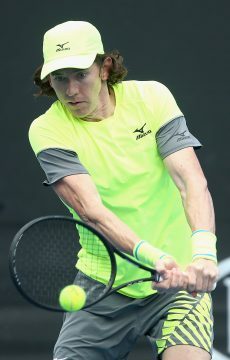 Sam Stosur and Zhang Shuai won through to the Australian Open doubles quarterfinals on Monday while all-Aussie combo Astra Sharma and John-Patrick Smith have reached the same stage in the mixed. 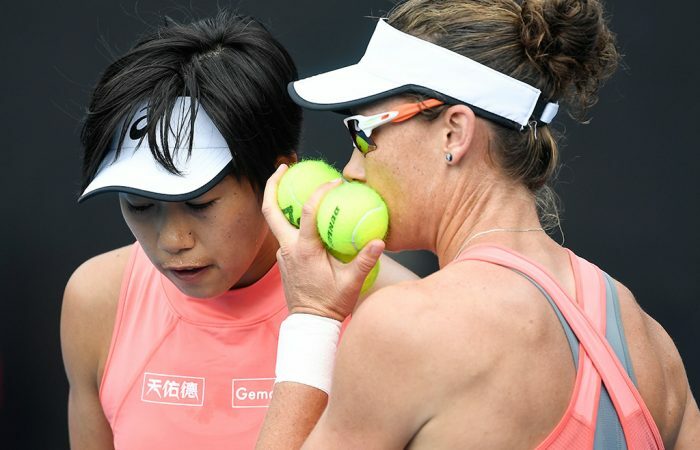 Sam Stosur and Zhang Shuai are enjoying another great run in a Grand Slam doubles tournament. The Australian-Chinese duo are into the quarterfinals at Melbourne Park after a 7-5 6-3 win over Alize Cornet and Petra Martic on Monday at Margaret Court Arena. 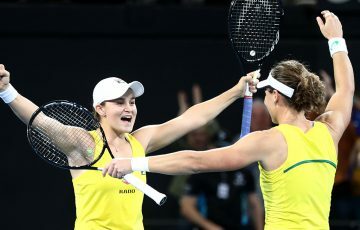 It was their third consecutive straight sets win at the Australian Open and sets up a meeting with top seeded Czech team Barbora Krejcikova and Katerina Siniakova, the reigning Roland Garros and Wimbledon champions. Sam Stosur and Shuai Zhang are through to the doubles quarter finals! Stosur and Zhang also advanced to the semifinals at the US Open last September before winning the WTA title in Hong Kong. They have won 11 of their past 12 matches, including seven straight. Also advancing on Monday were Aussies Astra Sharma and John-Patrick Smith, who sealed a spot in the mixed doubles quarterfinals. They did so thanks to a 6-4 7-5 victory over Andreja Klepac and Edouard Roger-Vasselin. They will next face either Bethanie Mattek-Sands and Jamie Murray, or Kristina Mladenovic and Robert Lindstedt. This is the first time Sharma and Smith have united as a doubles duo. 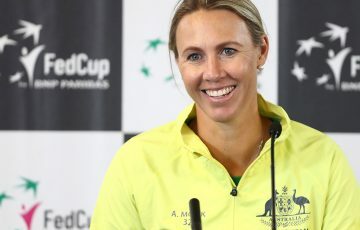 Fellow all-Australian Jess Moore and Andrew Whittington went down in straight sets in the mixed doubles second round, while Blake Ellis and Alexei Popyrin fell in the third round of the men’s doubles, with No.7 seeds Lukasz Kubot and Horacio Zeballos beating the youngsters 6-4 7-6(4). Amber Marshall and Annerly Poulos lost in the second round of the girls’ singles, with Poulos pipped in a match tiebreak by Brit Victoria Allen.